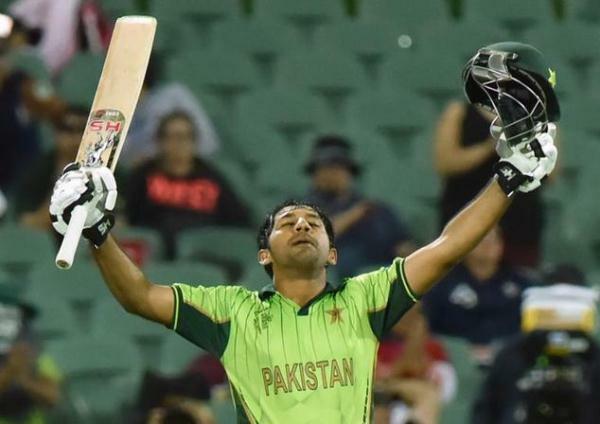 The year 2015 has been a year of mixed emotions for the Pakistan cricket team. Having lost both 50-over fixtures against New Zealand prior to the World Cup, the men in green had a horrendous start to the year as they suffered crushing defeats at the hands of India and the West Indies in their two opening games of ODI cricket’s most coveted tournament. Pakistan’s World Cup dream seemed all but over at 58-3 against Zimbabwe, when a resolute knock of 73 by Captain Misbahul Haq, along with a spirited half century by Wahab Riaz, guided the team to a sub-par total of 235. An instrumental bowling performance by Mohammad Irfan and Man of the Match Wahab kept Pakistan alive in the tournament, as both left-arm pacers grabbed a four wicket haul. Historically, it takes one stellar performance to ignite team Pakistan into a fearsome and ruthless unit. Tradition followed suit as Misbah’s men went on to win three must-win games on the trot, including a memorable victory against a red hot South African team, to clinch a quarterfinal meeting against the mighty Australians. With the stage perfectly set to cause the biggest upset of the tournament, Pakistan’s batting let them down once again, as it limped to a dismal total of 213. Hosts Australia went on to seal their semi-final spot by six wickets, in a game that will be remembered for Wahab’s blistering spell of fast bowling and Rahat Ali’s dropped catch of Shane Watson. 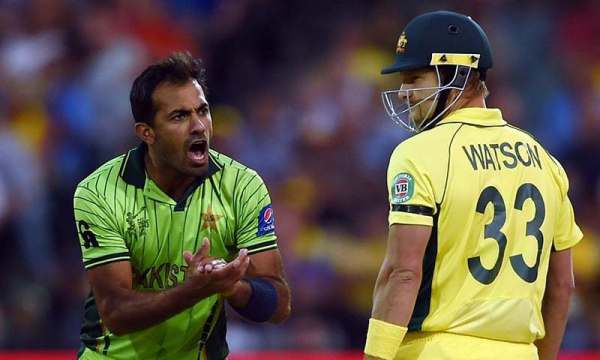 Pakistan’s fluctuating World Cup campaign had come to an end, one which had moments of both despair and encouragement. This also marked the culmination of the ‘Misbah era’ in Pakistan’s limited-over cricket, as the skipper retired from the 50-over format along with veteran all-rounder Shahid Afridi. Pakistan cricket was now at the helm of a new phase of uncertainty, as Azhar Ali (who had primarily been a specialist Test batsman up until that point) was appointed as ODI captain ahead of a tour to Bangladesh. This decision by the Pakistan Cricket Board (PCB) was subject to a lot of scrutiny from the media and former players, which only got worse when the men in green slumped to a 3-0 whitewash in the ODI series. This was a hard pill to swallow for supporters, as prior to this tour, Pakistan had only lost to Bangladesh once in 16 years (at the 1999 World Cup). Bangladesh went on to win the solitary T20 as well, before Misbah came to Pakistan’s rescue yet again, by securing the Test series 1-0. Fans and pundits alike had lost faith in the national team by this point and cricket seemed to be an art lost in the sands of time. That said, there could have not been a better time for international cricket to return to a nation which had been deprived of its beloved sport for over six years. Zimbabwe had agreed to become the first Test playing nation to tour Pakistan since the attack on the Sri Lankan team in 2009, to play two T20 internationals and three ODIs. The men in green succeeded to put on a show for their cricket-thirsty supporters in this landmark series, by sailing to victory in all fixtures except the third ODI, which was called off due to a floodlight failure and subsequent dust storm. The return of international cricket to Pakistan coincided with the return of Shoaib Malik in Pakistani colours for the first time in two years, who has continued to make the most of his comeback to date by piling up 500 runs in 11 innings at an outstanding average of 100. A number of fresh faces were also introduced in this series, most notable of which were left-arm orthodox spinner Imad Wasim and hard-hitting lower order batsman Mohammad Rizwan. 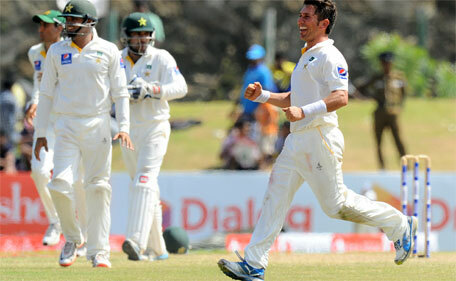 The next assignment for team Pakistan was a full tour of Sri Lanka consisting of three Tests, five ODIs and two T20s. Even though the world of cricket had grown accustomed to these two nations playing against each other over the past few years, it was a very important tour for Pakistan, given the fact that they had to win the ODI series in order to ensure qualification for the 2017 ICC Champions Trophy. Misbah’s Test team also had a point to prove, as the last time Pakistan triumphed on Sri Lankan soil in whites was back in 2006. To the Pakistani supporters’ delight, the Cornered Tigers romped to a colossus 10-wicket victory in the opening Test match at Galle, a venue which has rarely witnessed a Sri Lankan defeat. The heroes on this occasion were Asad Shafiq with a combative 131, Sarfraz Ahmed with a brisk 96 off 86 deliveries and leg spin sensation Yasir Shah, who accumulated a tally of nine wickets in the match including a career best of 7-76 in Sri Lanka’s second innings. Sri Lanka levelled the series by virtue of a seven-wicket win at Colombo in the second Test, triggered by an all too familiar Pakistani batting collapse in the first innings. The third and final Test could be considered as Pakistan’s highlight of the year, as it resulted in a record chase of 377 by the visitors, courtesy of a solid 125 by opener Shan Masood and an unbeaten 171 by stalwart Younus Khan. While Younus’s feat deserves the highest level of credit, it was Yasir who was the main architect of Pakistan’s first Test series win in Sri Lanka for nine years. The promising leggie became the fastest Pakistani bowler to reach 50 Test wickets and was justly named Man of the Series for taking 24 scalps over the course of three Test matches. The confidence gained from the Test match conquests was converted into results in the ODI series, as Pakistan stormed to a 3-2 victory, securing a spot for the 2017 International Cricket Council (ICC) Champions trophy. All three of Pakistan’s victories were commanding ones with strong performances with both bat and ball. Afridi’s T20 squad swept the two-match series as well, winning the second T20 in a classic nail-biting Pakistani fashion. Chasing a formidable target of 173, Pakistan were reduced to 107-7 before Anwar Ali and Imad scored match winning knocks of 46 and 24 (not out) respectively. The game went down to the final over, with Sri Lanka requiring a wicket to level the series while Pakistan needed six runs to win. Irfan’s single off the first delivery gave young all-rounder Imad a golden opportunity to become a national hero. Wasim did not wait long for glory as he despatched Binura Fernando for a six, winning the series for Pakistan with four balls to spare. A historic tour of Sri Lanka had come to a close in emphatic fashion, and as a result, team Pakistan had re-established itself as a threat on the international circuit. This new look Pakistan side that has emerged since the World Cup may lack in talent when compared to elevens of the past, but it most certainly possesses an age old hunger to win cricket matches, with a penchant to surprise opposition teams even when the chips are down. This ‘never say die’ attribute that has so often been associated to Pakistan cricket continues to live on and was showcased again in the recently concluded ODI series against Zimbabwe. After Yasir’s six-wicket haul enabled the visitors to take a 1-0 lead in the series, Zimbabwe responded strongly by posting a sturdy total of 276 in the second ODI, on a slow track in Harare. At six wickets down for 76 runs, Pakistan seemed to be down and out when Malik, in partnerships with newcomer Aamer Yamin and Yasir, nearly pulled off the biggest heist in recent cricketing memory. Unfortunately for Pakistan, Zimbabwe won the game by the Duckworth Lewis method, as bad light interrupted play when 21 runs were required off the last two overs to secure victory. 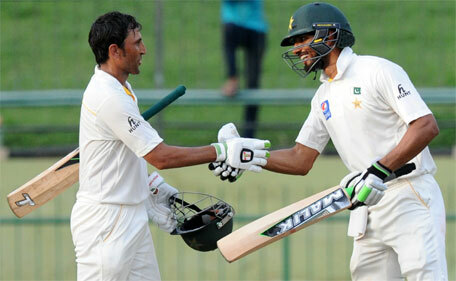 Malik was left stranded on an unbeaten 96, while Yasir was also well set on 32 runs. Even though Pakistan was on the losing end of this incredible bout, the strong-willed comeback was sure to inject confidence and self-belief in a young ODI team which was still finding its feet. Pakistan also found itself an all-round option for the future in Yamin, who contributed with a vital 62 runs by playing positive cricket and keeping his nerve (for the most part) in a crunch situation. Speaking of match-winners in crunch situations, perhaps Pakistan’s most significant find of 2015 has been the young left arm all-rounder Wasim. Hailing from Islamabad, Wasim has fast transformed into a valuable asset in the limited overs arena by bowling tight lines with his slow left-arm spin and providing valuable runs late into the innings. However, Wasim’s most noteworthy quality is his ability to stay calm and level headed under pressure, by mentally applying himself to reap rewards for team Pakistan. Not considered as a big turner of the ball, Wasim is a smart operator who used the slow conditions in Harare to his advantage by using drift as his major weapon to both choke runs and get wickets. His all-round effort was the main catalyst for Pakistan’s 2-0 victory in the T20 series (which earned him the Man of the Series award), while his 61 and 3-36 in the first and third ODIs respectively were vital contributions towards a two-one series triumph. In addition to Wasim, Rizwan has been a vital cog in the lower order ever since his debut earlier this year against Bangladesh. An aggressive and improvising batsman, Rizwan has scored three half centuries in nine innings so far in his short career, at a staggering average of 50.50. More importantly, his runs have been scored at a momentous strike rate of 101.67, due to which he has the potential to occupy the all-important ‘finisher’ role in the limited overs squad; a role which the national team has been devoid of in cricket’s modern era. Three successful outings on a trot may sound rather impressive for a Pakistan team under transition, but the fact that these victories were against slightly weaker opposition must be taken into context. Zimbabwe is ranked 11th in the ICC ODI rankings while Sri Lankan cricket is undergoing major withdrawal symptoms after losing arguably two of the best batsmen of the last decade, Kumar Sangakkara and Mahela Jayawardene. While Azhar’s young team has continued to impressed ever since that forgettable tour of Bangladesh, a stern test lies ahead as they face an evolving English team led by Eoin Morgan in four 50-over fixtures starting November 11th. Given Pakistan’s current form, it will be an evenly matched competition; the results of which will demonstrate whether Pakistan’s newfound youngsters are truly up for the international challenge or not. The onus, however, will be on skipper Azhar, along with his deputy Sarfraz who has been moved to the middle order to provide stability to a frequently fragile batting line-up. Both batsmen are high on confidence as Azhar has scored 665 runs in 13 innings at an average of 51.15 since becoming ODI captain, while Sarfraz has earned the reputation of a busy player who constantly looks for opportunities to rotate strike. The tenacious wicketkeeper is a master of the sweep shot and was responsible for instigating Pakistan’s World Cup turnaround by producing match winning performances against South Africa and Ireland. Senior batsmen Malik and Muhammad Hafeez will also have a key role to play, by nourishing a young squad with their experience and producing results with the bat, conforming to various circumstances. As much interest surrounds England’s limited overs duel with Pakistan, it is the Test series that is attracting the most attention from cricket enthusiasts the world over. Pakistan and England have a rich history when it comes to Test cricket, dating back to 1954 when Pakistan became the first side to win a Test in England on their maiden trip. The series was drawn 1-1 and Pakistan’s fast-bowling legacy had sown its seeds thanks to a match winning effort of 12 wickets by Fazal Mahmood at the Oval. However, Pakistan’s second victory against England came after a gap of 28 years at Lords, when a double ton from Mohsin Khan propelled team green to a first innings total of 428, after which Abdul Qadir and Mudassar Nazar combined to take 12 English wickets to seal a memorable away win. 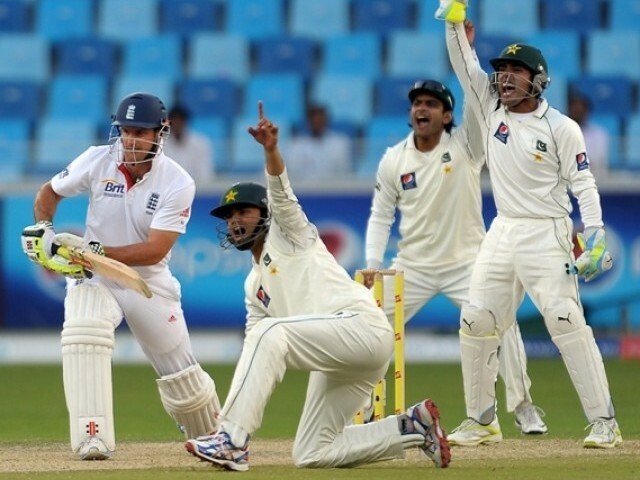 England went on to take the series 2-1, which was their last series victory over Pakistan for nearly two decades. The 80s and 90s are considered to be the golden era of Pakistan cricket, when superstars in the form of Javed Miandad, Imran Khan, Wasim Akram, and Waqar Younis conquered the global scene. Pakistan won five consecutive Test series against England during this period, a historic run that was broken by Nasser Hussain’s England team in December 2000 in Karachi. Pakistan drew the away series 1-1 in England in 2001, and ever since, both teams have enjoyed profound success on their home turfs while failing miserably as tourists. 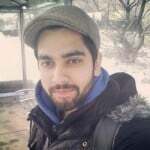 A Pakistan versus England Test series has the remarkable tendency to spark controversy as well; the Gatting-Shakoor Rana squabble, the forfeited Test in 2006 and the 2010 spot fixing scandal being the three incidents that stand out. However, controversy has long been abolished from the Pakistani dressing room, a reform carried out during Misbah’s successful tenure as captain. Not only has Misbah brought discipline to a side which had tarnished its image in the cricketing world, he has also remained unbeaten in all seven Test series played in the UAE since Pakistan’s exile as a host nation. In his five years as Test captain, Misbah has won 18 Tests for Pakistan out of 37 (a national record), which includes famous whitewash victories against England (3-0 in 2013) and Australia (two-zero in 2014). England’s assistant coach Paul Farbrace has acknowledged Pakistan’s supremacy in the UAE by dubbing the upcoming Test series in October ‘tougher than the Ashes’. Even though England are on a high after regaining the Ashes at home, Pakistan will start the series as favourites, given their extraordinary track record in the UAE. England’s tormentor from 2013, Saeed Ajmal, will not be present this time around due to an ineffective remodelled action, which he was forced to develop after being called out for chucking at the end of last year. However, leg spinner Yasir has risen to become Pakistan’s new go-to-bowler and will pose a major threat to an English batting line-up that has not faced quality leg spin bowling in years. After a successful Ashes series, Joe Root is expected to spearhead England’s batting, who also happens to have a fondness for playing spin and is not afraid to use his feet, unlike most English batsmen. Alastair Cook and Ian Bell provide invaluable experience to the English batting card, which will be hoping to avenge the horrors of 2013. It will be interesting to see how England’s new breed of cricketers, comprising of Ben Stokes, Jos Buttler, and Moeen Ali approach this battle in the desert after a fruitful Ashes campaign. Cook’s woes clearly lie in the inexperience of his spin department, which consists of part time off-spinner Moeen, left arm orthodox spinner Samit Patel and right hand leg spinner Adil Rashid, who is yet to play his debut Test. As for Pakistan, anything short of a Test series victory is unacceptable. Their batting boasts big names in Younus, Misbah, Azhar, and Sarfraz, each of whom have an individual batting average of over 44 in Test cricket and have combined to score 18 Test centuries since the beginning of 2014. The bowling unit will be led by Yasir, accompanied by slow left arm off-spinner Zulfiqar Babar, a partnership that Pakistan is banking on as their foremost weapon. Also, with the addition of Fawad Alam and Malik to the Test squad, Misbah has a few more spin bowling options at his disposal. Even though pace bowlers are not expected to play a major role in this competition, both sides have ample resources in the shape of James Anderson, Stuart Broad, Wahab, Steven Finn, Rahat Ali, and Junaid Khan. With the much awaited Test Series set to kick off tomorrow in Abu Dhabi, players from both nations will be blood-thirsty for victory as the result of this contest will define each team’s performance in 2015. One man in particular who will be itching to get on the field is Misbah, who stands at the twilight of his career at 41 years of age. 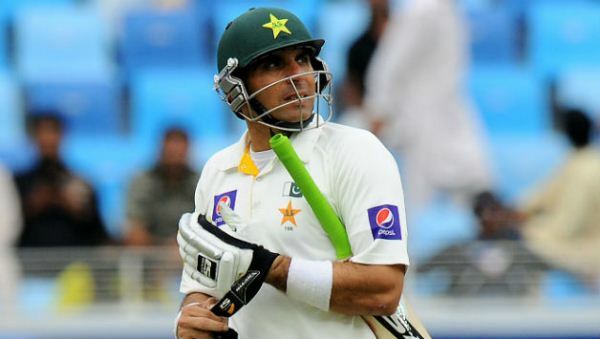 Misbah has discussed the possibility of retiring from the game at the end of the third Test and Pakistan’s “Captain Cool” will be looking to sign off in grand style, with yet another Test series victory to his name, leaving an undefeated legacy that will be remembered for generations.